Architect Richard Martinet referred to the intensive refurbishment of the newest edition to the Peninsula family – originally opened as the Hotel Majestic in 1908 – as a ‘love story’. Well, there is much to love from the moment you arrive, from the fleet of vintage Rolls-Royce Phantoms parked outside to the 800 crystal leaves hanging in the lobby. 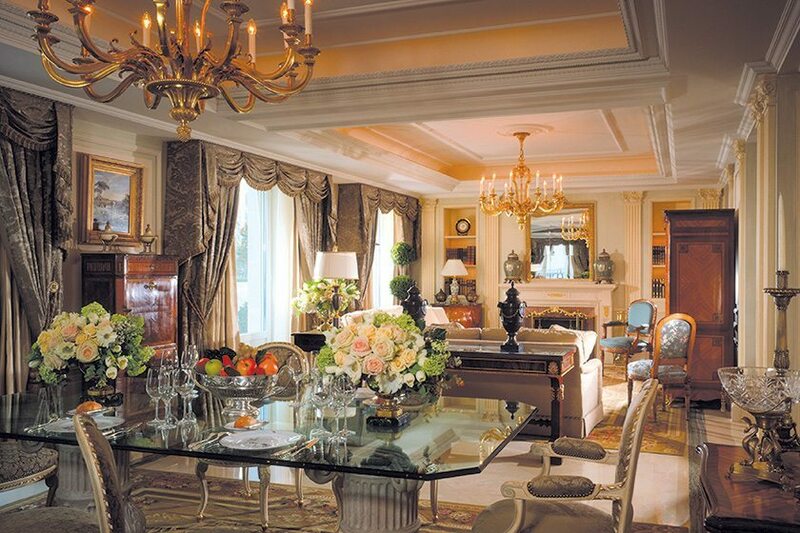 What’s more, The Peninsula’s reputation for impeccable service and attention to detail spans all floors. Rooms are sleek and smart with technology to match – a tablet allows you to push all the right buttons, controlling everything, from your curtains and lights to a luxurious spa setting in the bath. The Peninsula Spa on the basement floor is an Eastern-inspired sanctuary from the hustle and bustle and boasts immaculate treatment booths as well as a splendid pool. Out of the steam room, the hotel’s line of Vedic aromatherapy treatments takes your wellness a step further and in Le Lobby, the Naturally Peninsula menu offers up deliciously well-behaved plates. 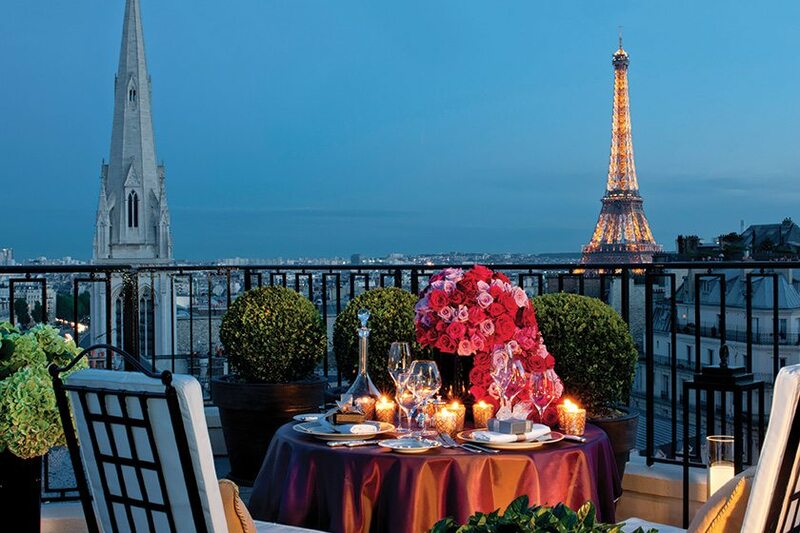 This of course paves the way for naughtier excursions to the rooftop restaurant, L’Oiseau Blanc, for something more indulgent against the backdrop of a glittering Eiffel Tower. Think bistronomic, not gastronomic. In other words, fantastic ingredients cooked really well without the stuffy atmosphere of Michelin-starred restaurants. Book it: Doubles from €795. 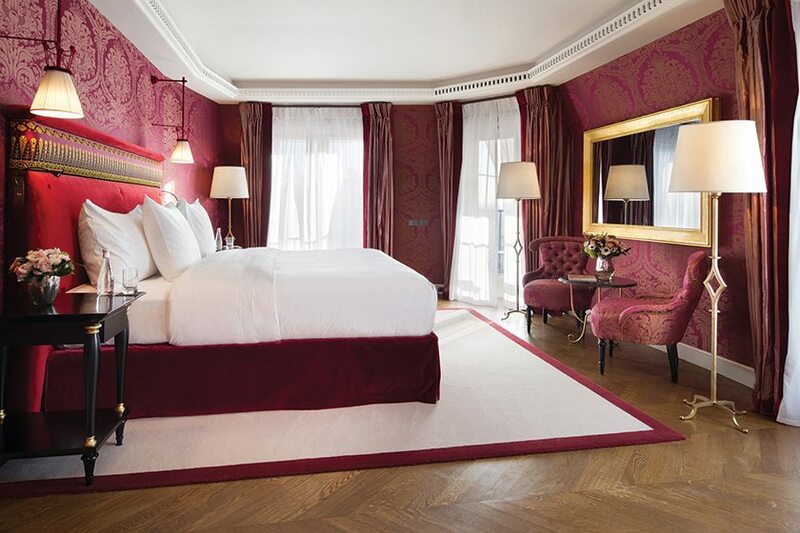 Few things are as exciting as staying in one of the grande dames of Paris, and this hotel certainly takes the crown. It’s old school without being fusty as well as utterly buzzy without being intimidating. Think big and bold – with showcases of flowers in the lobby and plenty of people-watching opportunity. There are gorgeous restaurants to choose from too, including the new ‘Le George’, which offers European tasting portions to share (you see, what a modern idea). Don’t miss the onion tarte tatin, it’s insanely good. Meanwhile the spa is an oasis of flickering candles and wonderful treatments executed with confidence. It’s the perfect way to ensure you glide off to the land of nod in one of those famously comfortable Four Seasons’ beds, in surprisingly big bedrooms – even the entry level rooms are spacious. Bliss. Book it: Doubles from €1,390, which includes breakfast. 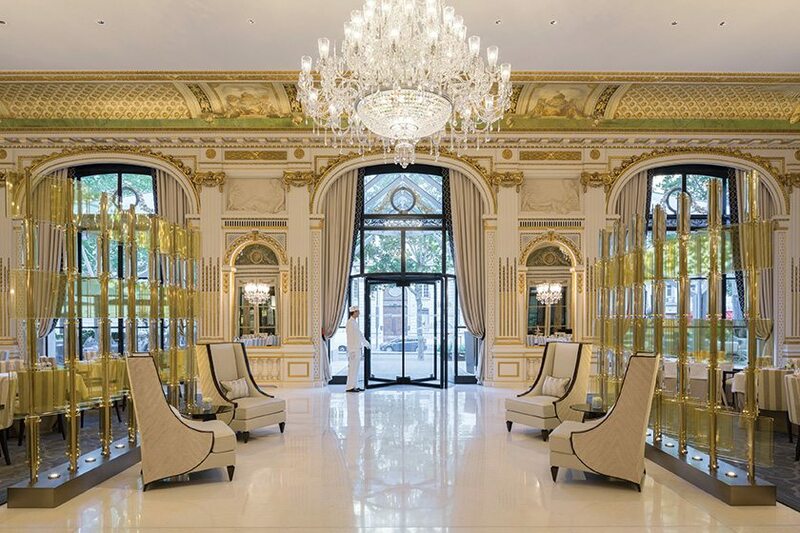 Super sophisticated and discreet, this hotel, housed in a row of grand Haussmann-era buildings, just off the Champs-Élysées, is chandelier grand, with gilded mirrors, portraits and fireplaces, and interiors by design star Jacques Garcia. But it also comes with heaps of atmosphere and a beating heart. For starters, everyone seems to be enjoying themselves so much, whether they are sitting in stylised armchairs taking a dainty cup of tea in one of the pretty salon rooms with an old friend, or eating a delicate feast in the dining room. Pack your best clothes. The staff will bend over to make your stay as lush and spoiling as possible. Shoes can be polished, dresses ironed, tables booked. Your room (there are just 40) may be smart and expansive (such space is a rarity in Paris), with huge damask and velvet curtain swathes the colour of dark chocolate, but they haven’t forgotten the details. Fresh flowers, chocolates, interesting drinks (such a strawberry nectar); there’s even a skipping rope and some dumbbells should the mood strike you. Which obviously it won’t. 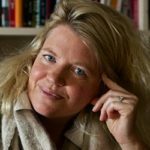 You are not here to work – or workout. Book it: Doubles from £570, which includes breakfast.